This 21,400 SF, 45 year old physical education/athletic facility was in desperate need of renovation. Utilizing the existing building, the interior was demolished leaving only the structural shell. The facility was reprogrammed to house modern athletic, training, and physical therapy programs, including: faculty offices, basketball court/gymnasium, dance area, fitness room, classrooms, and locker and team rooms with built-in facilities for video performance evaluation of game films and training aids. 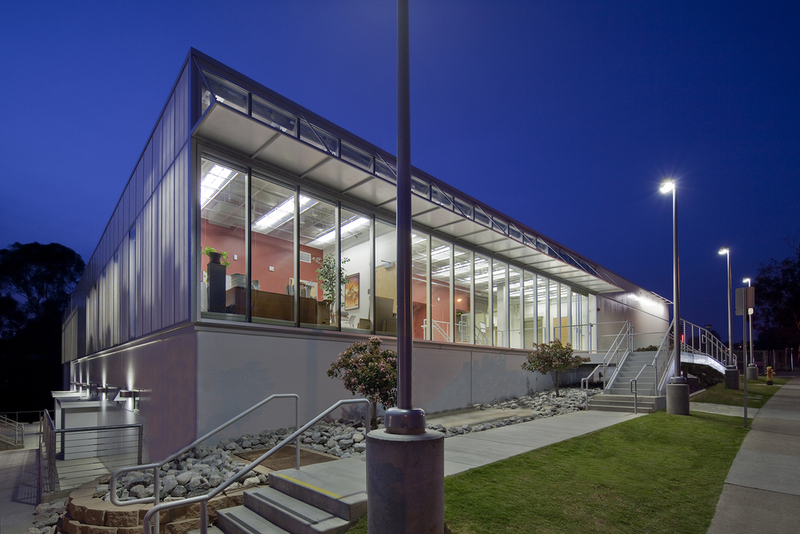 This project is a LEED Silver building. It utilizes a Kalwall system of translucent, insulated fiberglass to maximize natural light while maintaining an insulated wall assembly. *Architect of record while at gkkworks.